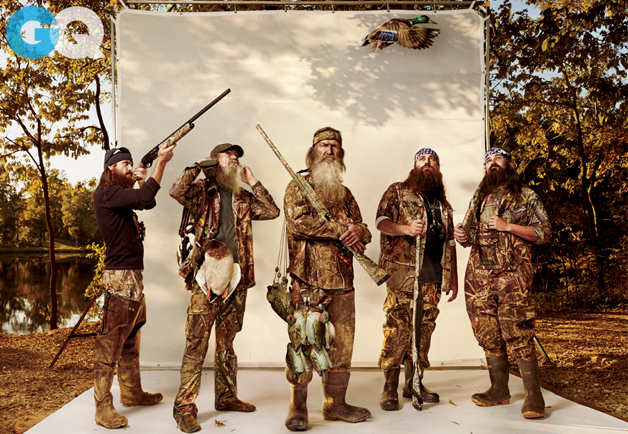 I freely admit, I have never watched a single episode of A&E’s Duck Dynasty. Quite honestly, there is nothing about the show that appeals to me. I don’t like to hunt, I can’t relate to the Louisiana back-woods culture of the Robertson family, and the thought of wearing camouflage everyday, well, frightens me. But after A&E decided to suspend Phil Robertson for his comments on homosexuality in a recent GQ expose, I became troubled. So let me get this right, GLAAD. You have recently publicly campaigned for Congress to pass the Employment Non-Discrimination Act (ENDA), which would protect the LGBT community from being fired from their jobs because of their sexual identity, but you encourage A&E to “reexamine” their relationship with Phil Robertson because of his Louisiana back-woods, Bible-thumping, red neck Christian identity? In other words, Christian employers must be tolerant of one’s sexual identity, regardless of whether it conflicts with their values and belief system, but A&E should fire Phil Robertson for his religious values? We get it GLAAD. Phil Robertson’s comments are rather distasteful. Some might say HE is distasteful. But you can’t have it both ways. Tolerance is for everyone, not just some. This entry was posted in Uncategorized on 2013-12-19 by VoV Contributor.